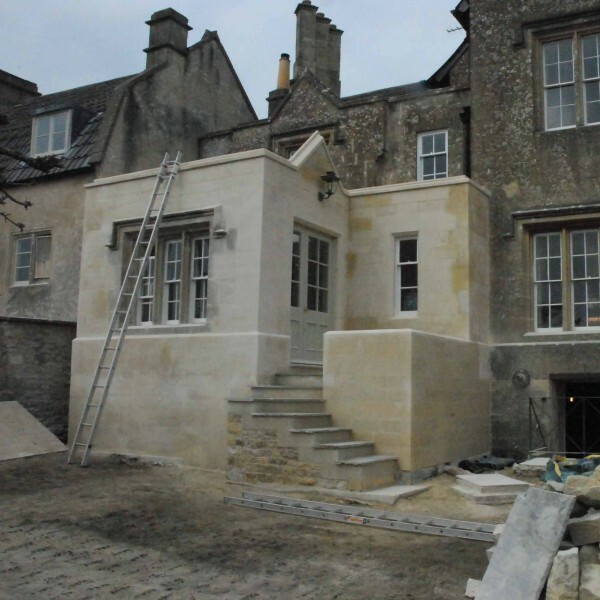 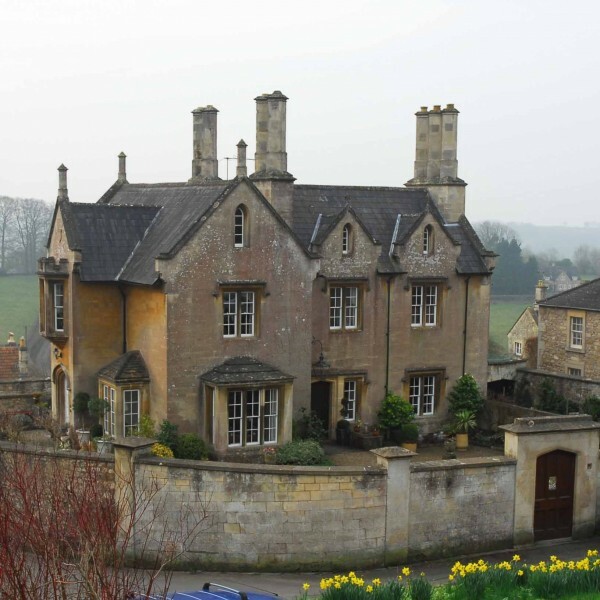 An example of a small Bath stone rear extension to a Grade II listed domestic dwelling. 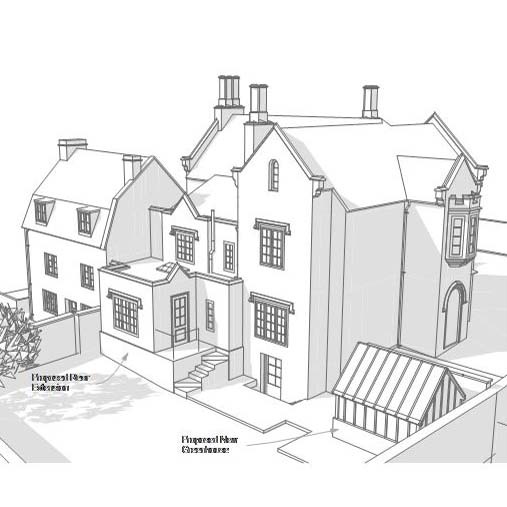 In order to achieve consents the new structure needed to blend in with the existing stonework of this 18th century Arts and Crafts style building and cope with a significant level change within a small footprint to provide access the garden. 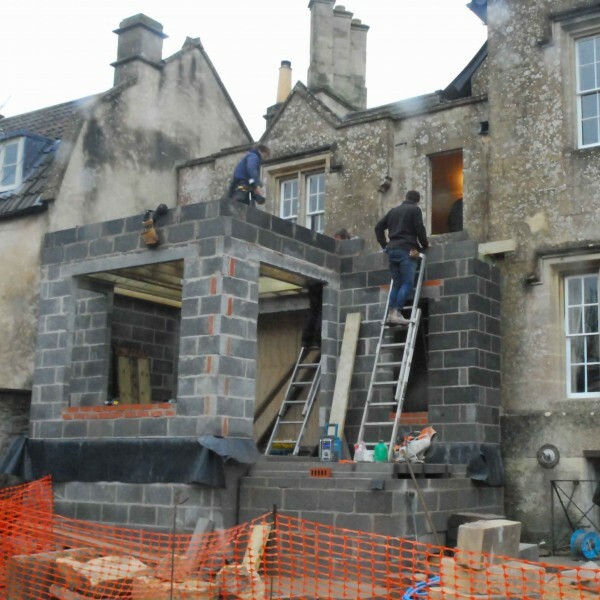 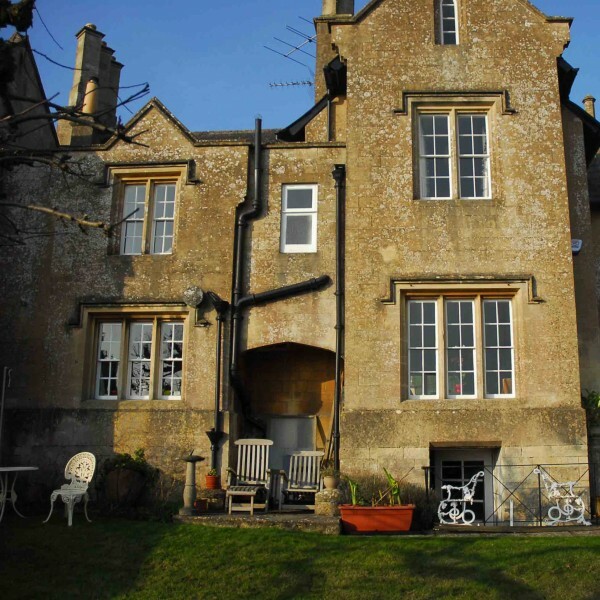 The existing timber sash windows and stone mullions were re-fitted and the external rainwater and soil pipes rationalized.